What do you need to know before you start marketing your private practice? I remember when I first started in private practice all those years ago, that heady mix of nervous excitement. I'd had my garage converted to be my counselling room, bought new furniture and even​ even got a lockable filing cabinet. I put an ad in the local newspaper (remember those? ), paid for an ad in the Yellow Pages (remember those?) and was included on a couple of online directories. I even got some business cards printed. 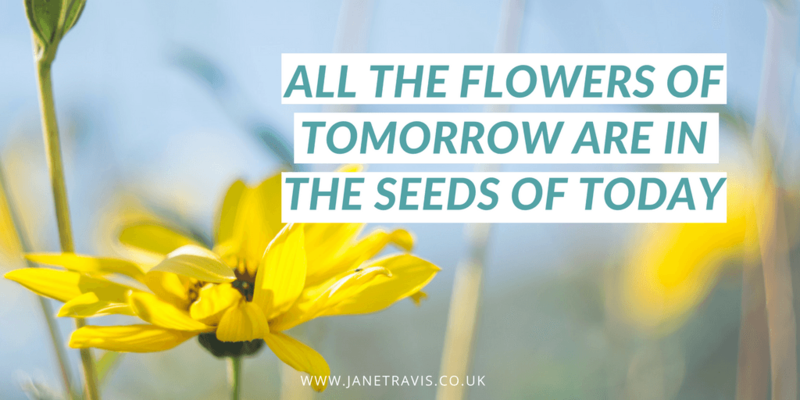 Eventually a few clients trickled in, but it became clear that the Field Of Dreams 'if you build it, they will come' method of getting clients wasn't working! Now I KNOW I'm not the only therapist that's been through THAT rather painful learning curve! The problem is, we don't treat our private practices like a business. I saw on a forum someone saying their practice was 'a bit like having a business'! Starting up in private practice IS starting up in business, and you have commitments, responsibilities and a new set of skills to learn. And as with all business types, it takes time and effort to attract clients and keep attracting clients. A new swanky restaurant might make an impact with a glitzy opening night but without consistent marketing (and customer service), people will go to the next hot new restaurant that opens without a backwards glance. So lean closer, I'm going to share with you 6 secrets you need to know to start marketing your private practice. Marketing your private practice takes time. Networking, writing blogs, using social media, email marketing etc take time to learn and time to do. If you want a successful therapy practice, be prepared to dedicate time to marketing your business. D﻿﻿o you make time for business? Are you making these 5 mistakes on Facebook? It's easy to feel overwhelmed by all the marketing advice out there, and if you're a technophobe like me, it's easy to want to ignore online marketing. But ignore it at your peril! Marketing is simply a new skill set, and as with any new skill, there's a learning curve. I'm a big believer in 'feel the fear and do it anyway'! As with all learning, it's best to do it in small, incremental steps. ​Pick one area you'd like to focus on, and learn about it. The most important thing when marketing your private practice is consistency. If you use Facebook to market your business, post every single day. If you blog, decide how often and stick to it. If you have a newsletter, email every week/fortnight without fail. Posting/blogging/emailling on an occasional ad hoc basis will make you look disorganissed and unprofessional. If you need income, don't get yourself into debt - get yourself a part time job while you work on your business. Do what you can, use what you have and upgrade over time. You don't need a website when you're just starting out, you don't need fancy logo's or business cards. You need a room with 2 chairs. Possibly a lamp and a table. It doesn't cost anything to write a blog, send newsletters, use social media so pick one and learn how to do it well. Then when you've mastered that, pick another. A﻿﻿re these myths stopping you from taking private clients? If you're going to grow a successful therapy practice, you're going to be doing a lot of marketing so learn to enjoy the process! Start by doing what you enjoy most: If you like meeting people, get networking, if you like writing, get blogging, if you like social media, use that. Set small goals and reward yourself when you meet them. Make it a challenge to yourself. Get together with other counsellors for motivation and accountability - join the ​Grow Your Private Practice Facebook community! It's a private Facebook group for counsellors and we work together to help each other to grow. 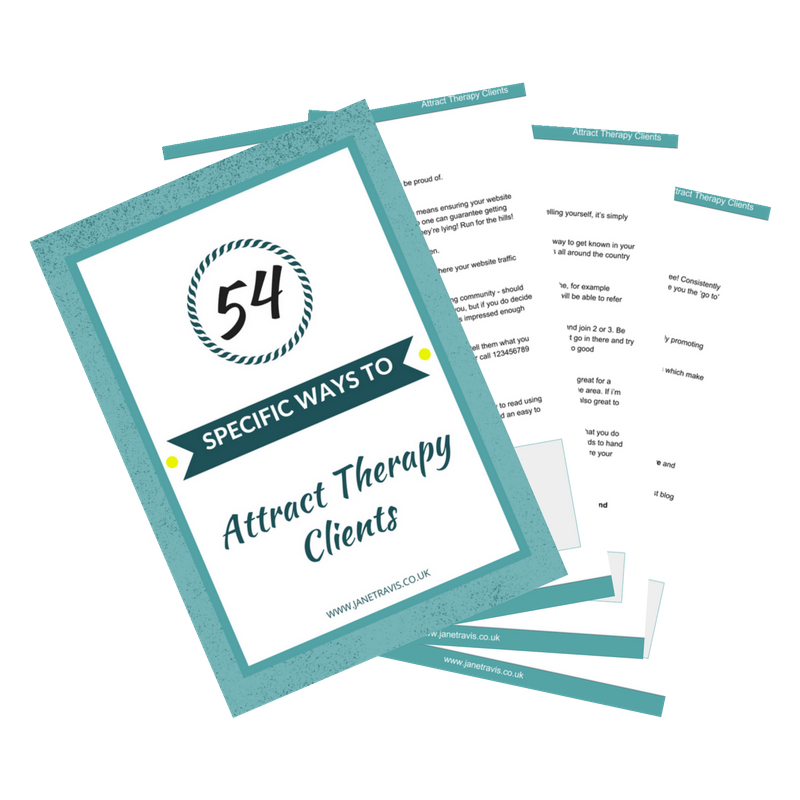 To grow and maintain a successful, thriving therapy practice, you'll need to market your private practice - so embrace it! Find a way to enjoy the process, set yourself little challenges, and celebrate and reward yourself for each success, no matter how small.